When Sendak, a captain of the Galra Empire, launches an attack on Princess Allura’s castle, Shiro struggles to protect an unconscious Lance. Watch what happens next in Voltron Legendary Defender, coming to Netflix June 10. Available exclusively on Netflix June 10. Netflix and DreamWorks Animation have announced that starting in 2016, Netflix will launch several new series from DWA, including a reimagining of Voltron, and the new series, Trollhunters, from acclaimed director Guillermo del Toro (Pan’s Labyrinth, Hellboy), who will unleash a new, fantastical world wrapped around two best friends who make a startling discovery beneath their hometown. No other details are known as of now regarding either series, but I think it’s safe to assume that the Trollhunters series will be based on the book, written by Del Toro and Daniel Kraus. 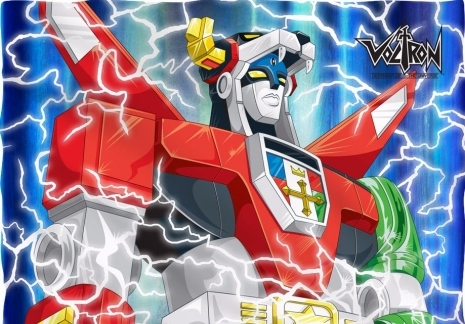 20th Century Fox-based New Regency is in final talks with the Mark Gordon Co. to bring VOLTRON: DEFENDER OF THE UNIVERSE to the big screen as a live-action film. Based on the ’80s anime franchise, the feature will take place in New York City and Mexico after an alien invasion has decimated Earth, and will follow five survivors, who take possession of five lion-like robots, which when combined form the giant robot Voltron.